The Department of Materials Science & Metallurgy (DMSM) offers a range of advanced degrees at Masters and PhD level. 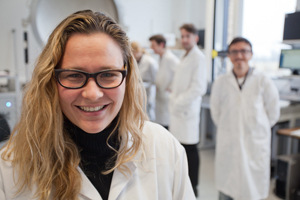 It has a thriving graduate school with approximately 130 PhD students on the Graduate Register at any one time. Around 10 students are admitted to the MPhil in Micro- and Nanotechnology Enterprise in October each year. Graduate admissions are administered by Dr Rosie Ward (remw2@cam.ac.uk), who is very willing to give informal advice to prospective students on the admissions process. Each application is considered by at least two members of academic staff and students who are considered to be strong candidates are interviewed in person, by telephone or Skype. 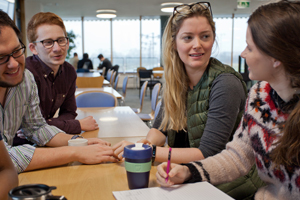 The decision to make a conditional offer of admission is based on merit alone, as are any nominations for the funding opportunities available from the University, Department or Cambridge Trust. The Department has an active Equality and Diversity Committee, with membership drawn from all levels of staff and students. This group is committed to ensuring that our positive and inclusive ethos continues to be nurtured so that under-represented groups can be supported and encouraged and that diversity is valued. Thus, we welcome applications from all suitably qualified candidates. Information on how to apply is available at the University Graduate Admissions pages: http://www.graduate.study.cam.ac.uk. 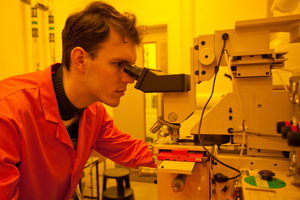 The Department is also a partner in the interdisciplinary Nanoscience & Technology CDT (NanoDTC) [this course will appear as PhD (Probationary) in Nanotechnology DTC (4 yrs) on the application form], and the Cambridge CDTs in Computational Methods for Materials Science, Graphene Technology, and Sensor Technologies and Applications. 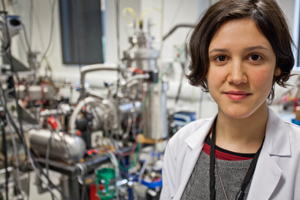 We also have interests in the Doctoral Training Centres in Photonics Systems Development (with UCL); New and Sustainable Photovoltaics (with the Universities of Liverpool and Bath); and Nuclear Energy (with Imperial College and the Open University). Further information on these Centres for Doctoral Training and on how to make an application is at http://www.epsrc.group.cam.ac.uk/CDT training.